After spending much of last weekend sneezing and sniffling, we decided that we wanted to have a Proper Weekend. You know the sort...filled with fun, adventure, and lashings of food. On Friday I'd spotted a tweet about some sort of dinosaur build down at the M Shed, and mentioned it in passing to Dave. He didn't seem that bowled over by the idea--admittedly I was very vague--but since he couldn't think of anything better we decided to give it a whirl and see what adventures we could find along the way. There's always something going on in Bristol after all. A decent cup of coffee is the beginning of any good weekend, as far as I'm concerned. We popped into Spicer + Cole just off Queen Square, which is rapidly becoming my ultimate coffee destination, for a round of drinks. Spicer + Cole has the absolute best coffee in Bristol. I'd take one of their velvety flat whites over a speciality pumpkin spice or eggnog latte any day. I succumbed to a satisfyingly large pear and cinnamon muffin which had a lovely crunchy top--love, love pearl sugar--and big chunks of poached pear inside. Lush. 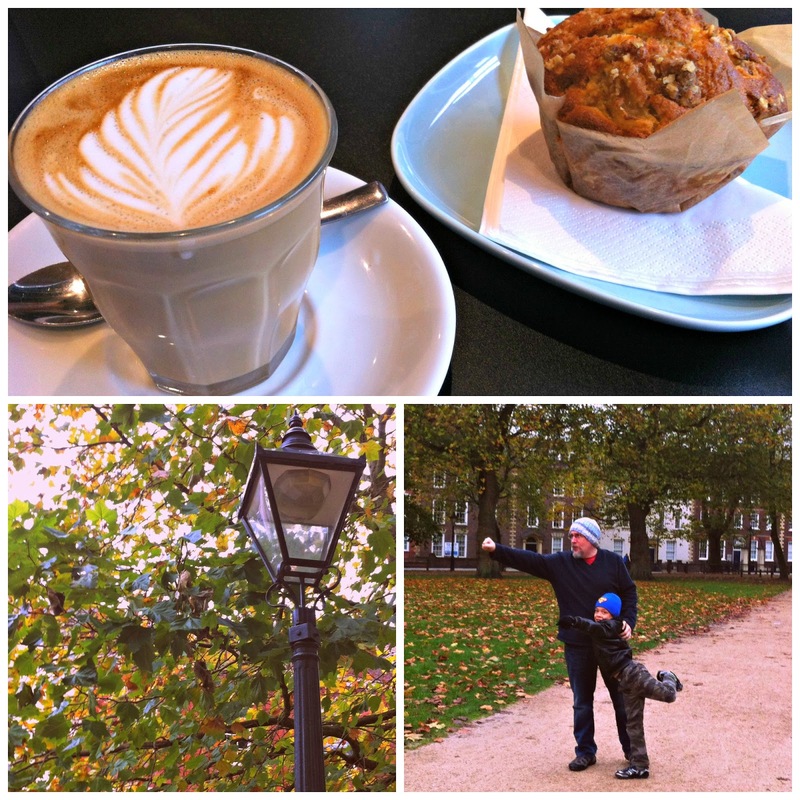 After inhaling our drinks we happily crunched our way across Queen Square through the fallen leaves. The square was looking gorgeous, despite the slightly grey weather...leaves gold and bronze with some still yet to turn. Wasn't there something in the papers recently about how this would be a "Double Autumn"? I think it was something to do with the late spring combined with the super-hot summer that was causing only half the leaves to turn and drop and a time... It was certainly odd to see half the leaves still clinging to their greenness (and branches) this late in the year. When we reached the M Shed we found that the L Shed doors were open--it had never dawned on me that all the sheds by the waterfront were all identified by letters--and a dinosaur inside! 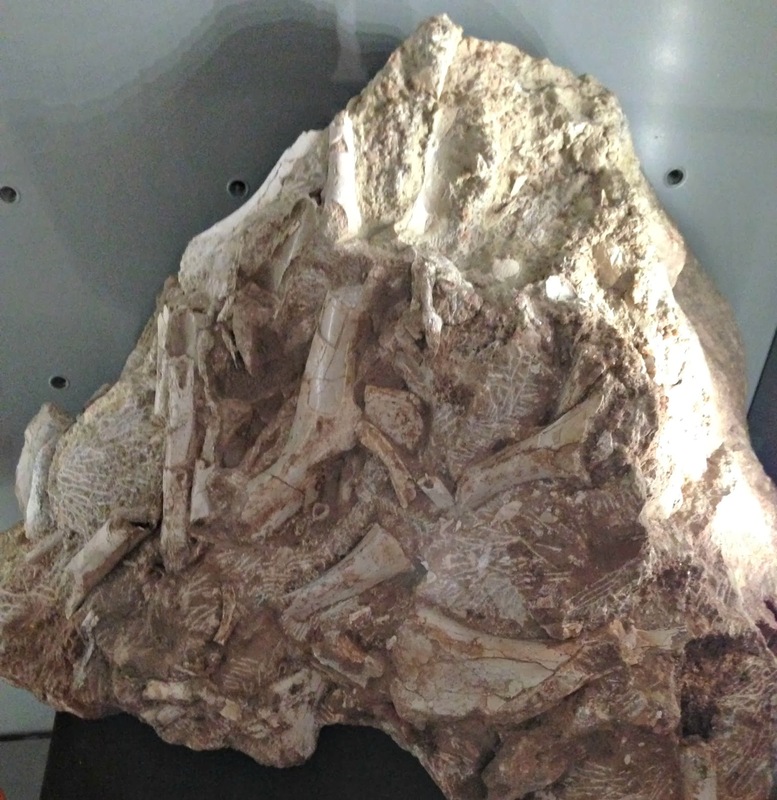 None of us knew that Bristol had its very own dinosaur, much less that it was one of the oldest known dinosaurs! Thecodontosaurus antiquus, or ancient socket-toothed reptile, was the precursor to the large plant-eating dinosaurs; it lived 200 million years ago when Bristol was a group of tropical islands near the equator. Looking out of the shed doors, onto grey skies and fine drizzle, it was hard to believe! The aim of the Bristol Dinosaur Project (and build) is to let the people of Bristol know about their very own dinosaur. The project team are working their way through four tonnes of rock from a quarry north of Bristol and recovering more bones and micro-fragments every day. It was fascinating to hear how they pieced the skeleton together and then extrapolated how the muscles should attach to the bones--some bones still had clear muscle attachment points, which is pretty cool--creating incredibly detailed drawings and plan. The dinosaur we saw was life-size, built up from a metal frame with carved polystyrene on top, wrapped in chicken wire, and finally a layer of clay which Bob, the sculptor, was working on with incredible precision. 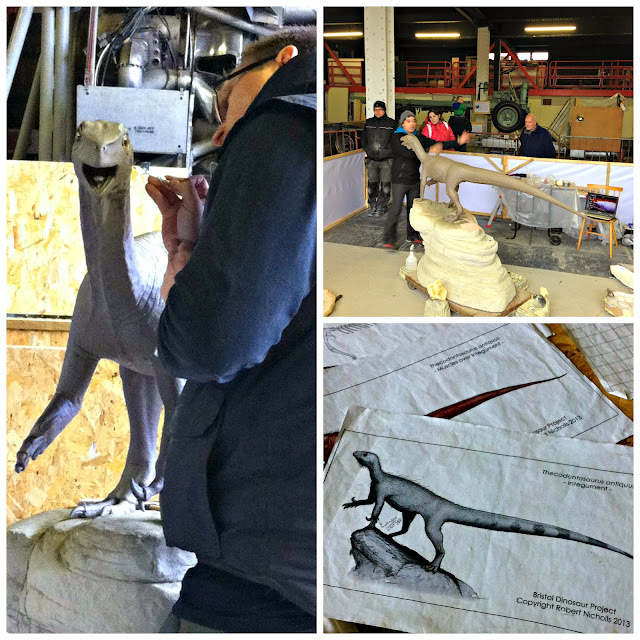 This isn't the end of the process...a resin cast will be made, allowing Theco to be displayed for years to come! Once we'd had our fill of dinosaurs, we wandered down the harbourside towards the SS Great Britain. There's always something interesting to see, on land or water. There were lots of rowers out training, yellow Bristol packet boats chugging their cargo of commuters up and down the Floating Harbour, and quite a few boats in for refits. We hopped on the ferry, crossed the harbour, and wandered down the other side until our tummies started rumbling again. It was then that I had a brilliant idea. "Why don't we go to Atomic Burger for lunch," said I. And so we did. Atomic Burger, a geek's delight! 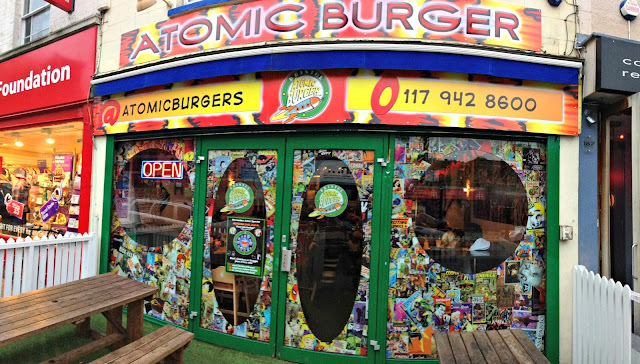 Dave has been dying to go to Atomic Burger ever since he heard about it opening. 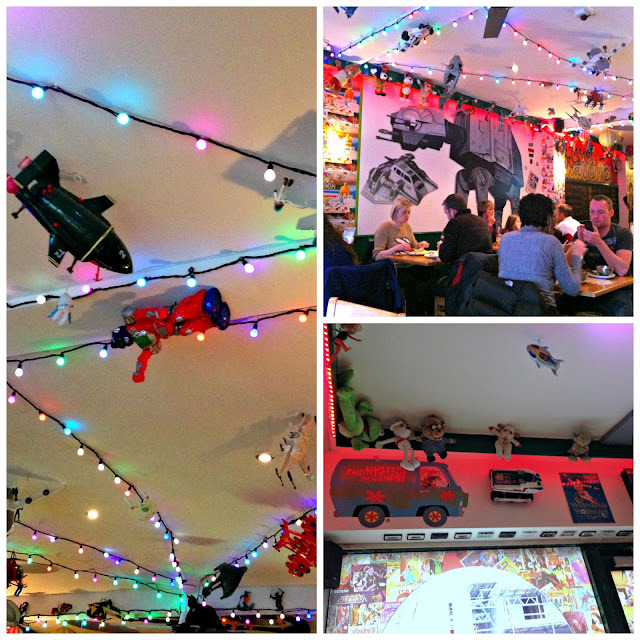 A burger joint, decorated with all the toys and comics of our childhood? Perfect. A Power Ranger hung from the wing of an X-Wing, a Ghostbusters proton pack fired a stream of proton particles at a ghost as Danger Mouse and Penfold looked on. There were Barbies, Action Man, Teddy Ruxpin, Gordon the Gopher, Thunderbirds...you name it, they had it! I opted for the November Special: the WHO Burger. A juicy beef burger, with Wood smoked bacon, Habanero onion relish, and Oak smoked cheddar. It was gorgeous--just the right amount of heat in the onion relish and the level of smoke from both the bacon and cheese was just right. I loved the sweet potato fries--it's so nice to see these springing up on restaurant menus! I also had the slightly ominous sounding Baconator milkshake--caramelised bacon and maple syrup, topped off with cream--which was absolutely amazing. It was more of a maple milkshake with a hint of bacon at the end, rather than a massive bacon-fest. I'd totally have it again. Dave had the Outlaw burger which looked pretty impressive, and apparently tasted great, too, judging from how quickly he ate it! I might have it next time as I love pulled pork! Or perhaps the Chuck Norris...with extra badass chilli. Who doesn't love Chuck? The only slight disappointment were the burger buns, which were a bit blah. Some proper hamburger buns with sesame seeds on top would have been good. 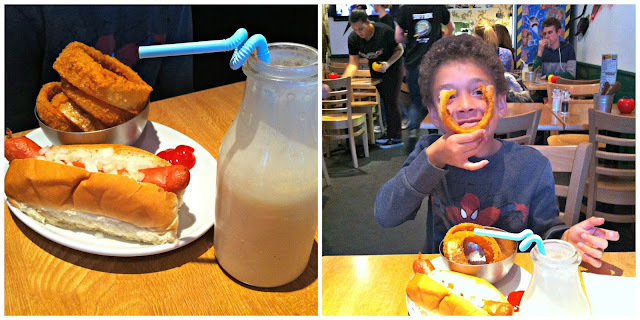 The buns didn't detract from our enjoyment, but they didn't add any interest, if you see what I mean? What a brilliant day! 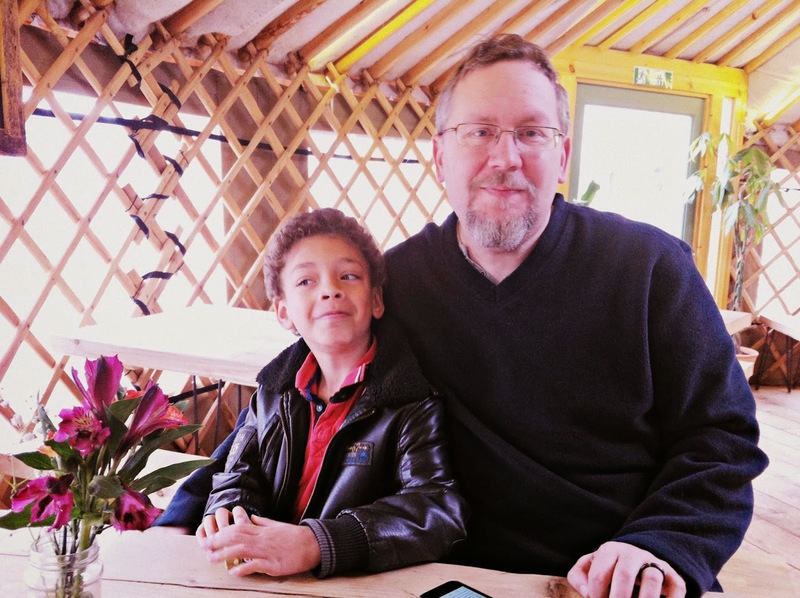 Just the right amount of everything that we love: fun, adventure, geekiness, food, and family. Hey, it was even educational! What a fab day out, perfect weekend. 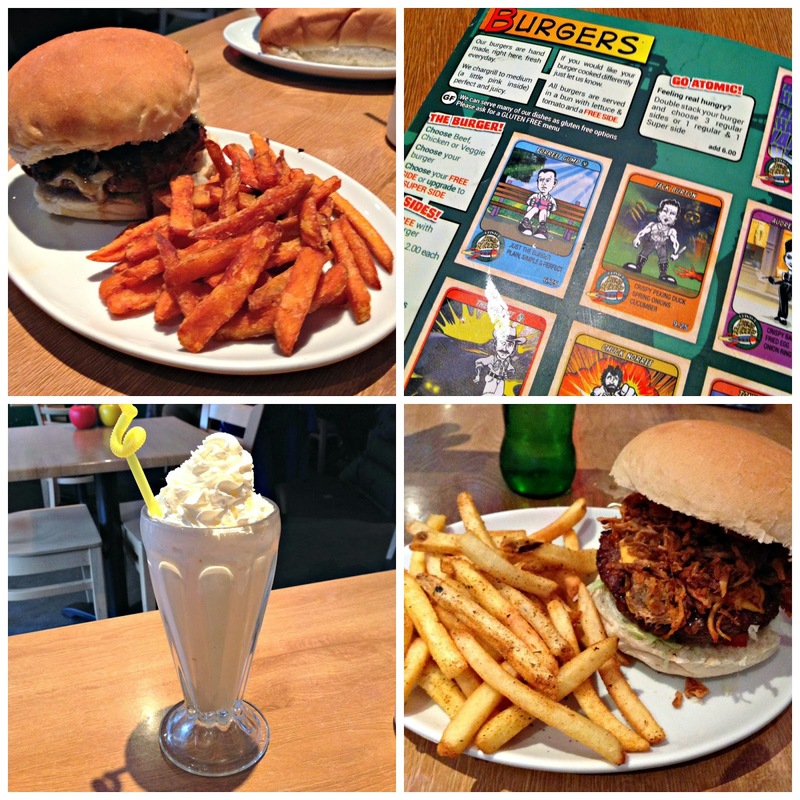 The burgers look good but I'm still a bit stuck at pear and cinnamon muffins - mmm mmm! I'm not generally a fan of pear, but the muffin was SO good. I could be converted! Your sentence about everything you love: "fun, adventure, geekiness, food, and family." Well even before I got there now I know our families are kindred spirits. Always on adventures that I photograph and later write about. And is the WHO burger a Doctor Who reference? And three days!!!!! The WHO burger was indeed a Doctor Who reference. 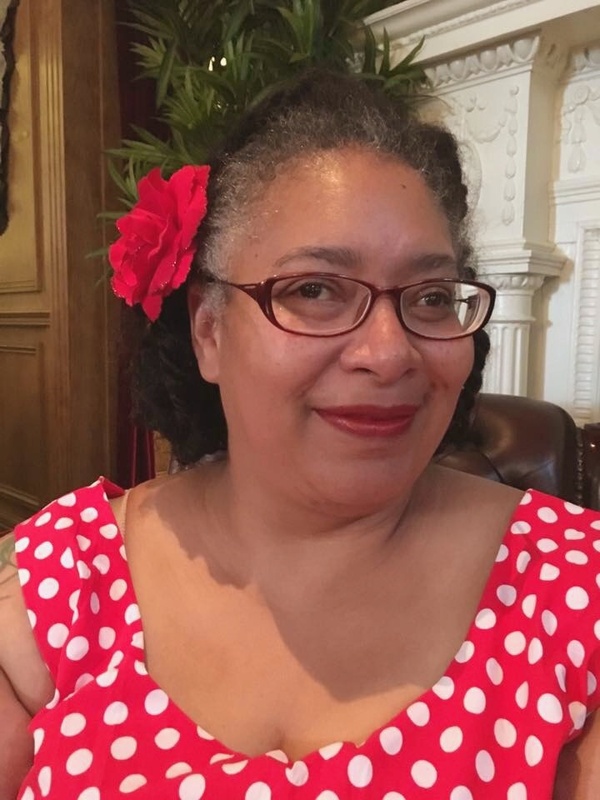 I was a bit sad that there was nowhere in London doing any sort of themed meal (as far as I could see) for the anniversary. That would have been Epic! Let me know when you come to town on a foodie odyssey!